He will be enlightening us on “Natural Tendencies of Rivers and how to Fish Them”. (How rivers form and work, how to use a classification system to understand them and then use that to understand where you are likely to find fish). 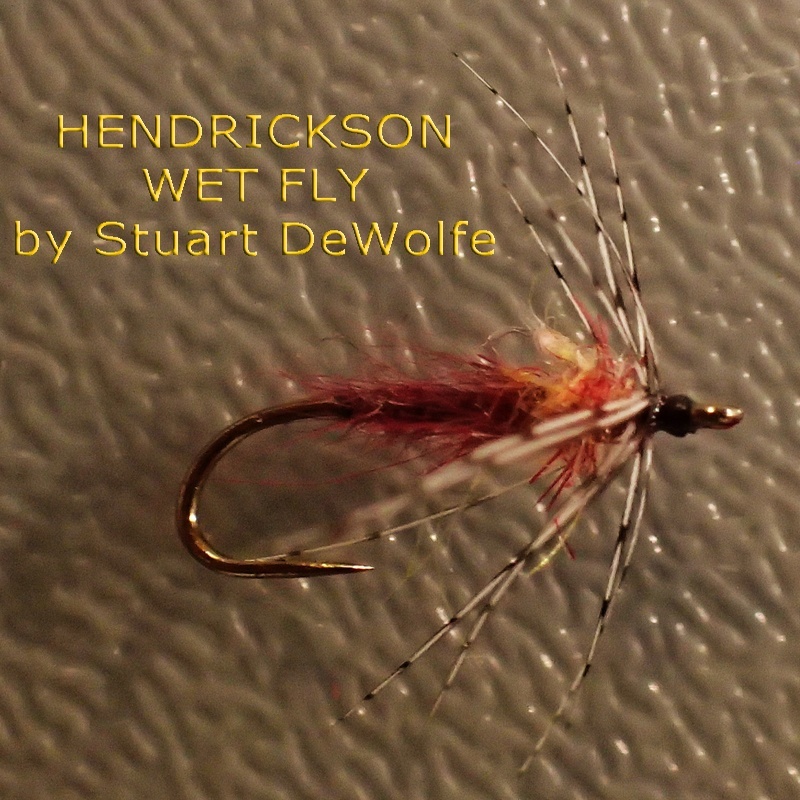 This is the second fly in Sheldon’s series. Here is the first of nine flies tied by Sheldon Seale at the Izaak Walton Fly Fishing Club on the 7th November 2017. The Canadian Hamill’s Killer Streamer pattern. It is with great sadness that we announce that we lost another member of our club recently. Bruce Roney died on 25th October 2017. Sheldon has about 470 used fishing books for sale. If you wish to buy any of these, please email Sheldon at: srseale2012@gmail.com or make a note of the ones you want, and bring the list to our next meeting on 7th November. Our next meeting will be on Tuesday, 17th October at 7:30 pm at the Carmen Corbasson Community Center. Tommy Kee will present “Winter Tarpon and Breaking the World Record for Bone Fish”. Please join us and wear your bright Caribbean shirt. The next Club meeting will be at 7:30 pm on Tuesday 3rd October. Some of these flies will work for trout as well: the Bream Chugger, the mini Duke Nukem, the micro Shoe Fly and the little Damsel Fly. Do not forget that Sunday 9th July is bass fishing day at the Brant Conservation Area. Meet at 10 am at the gates. The Fifth Annual Grand River Outing was a blast and we are already looking forward to next year’s trip. Bill Christmas is looking for volunteer fishermen for a video shoot of Mooneye fishing, this Tuesday evening at Seneca Park, in Caledonia; be there at 6 pm if you are interested. A sweet deal has just opened up at Glen Eden Fishing Lodge on the Restigouche river in New Brunswick. August 3rd. to August 7th has opened up for 4 slots. This is a 4 day package at a cost of $500.00 USD/day/guest. Buy this package and we will throw in an additional 2 days of fly fishing at no charge. Yes, fly fish for 6 days for the cost of 4 days. Arrive August 3rd. and depart August 9th. Includes: All meals, accommodations (1 guest per bedroom, each bedroom accommodated with your own private ensuite), guided Fly fishing, shared canoe, snacks and fruits available all day. Also includes transportation from and back to Bathurst Airport. If you’re interested please contact right away. The Club’s 5th Annual Grand River Outing on 6th June 2017 is coming up soon. Volunteers have already restocked the Grand River. I was there to witness some of the efforts of the volunteers. So far there have been about 21,000 brown trout stocked in the Grand River tailwaters, already. and there are also some bigger fish in the system that have survived for several years. One special brown trout looked like a small pink salmon in shape, and I wonder if it will survive. If anyone hooks “Humpy” please send an updated picture after you have released him so that we can follow his progress. We noted great Hendrickson hatches on the lower and middle sections this past week. Four club members will be going to New Brunswick for some Atlantic Salmon adventures for four days from the 27th to 31st July. I have been informed that there is space for another two at the lodge during these dates. The usual daily fee is $650 US, and we have a special deal at $500 Canadian per day. If you are interested, feel free to email me. In a few weeks, we will be holding our regular annual Bass Fishing day. At 5:30 pm, on Tuesday 2nd May we will be holding our Annual Barbecue at Erindale Park. We will provide burgers and hot dogs for club members; so come along and enjoy the fun. We will be located in the sheltered area across the footbridge. 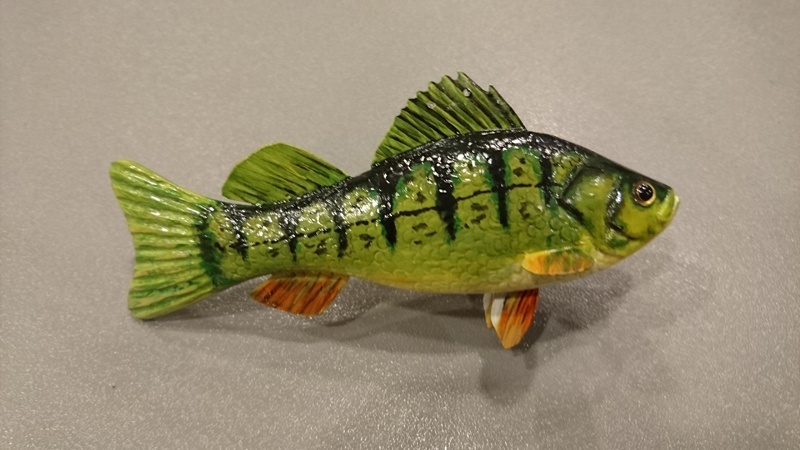 Bring your gear if you would like some casting tips from our member volunteers. Our final, formal, meeting of the off season will be on Tuesday 18th April at 7:30 pm at the Carmen Corbasson Center in Mississauga. Rob Heal (joint owner and guide at the Grand River Outfitters and Fly Shop in Fergus), will be discussing “Small Flies for Big Trout”. Rob has a penchant for delicate flies that really catch fish. His store sits on the banks of the Grand River, in Fergus. The next meeting on the 4th April will be presented by George Genyk. 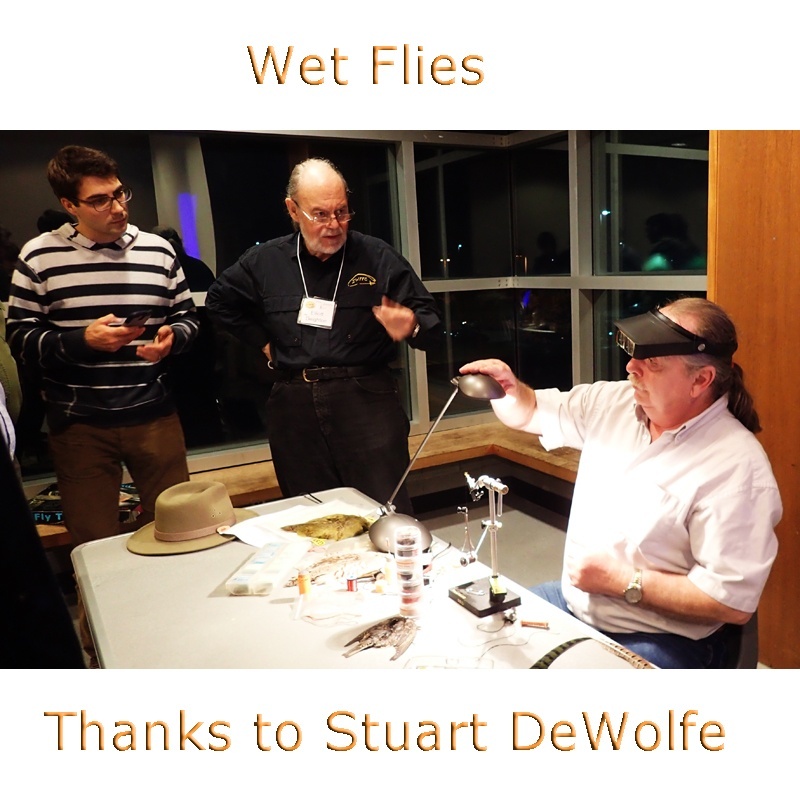 He will be discussing “Trout Dry Flies – Some Thinking Outside The Box”. Also, for you history buffs, I have finally updated our archives page at last to include all the back issues of Single Haul. Thanks to Steve Noakes for his overview of the “Bring Back the Brookies” movement. Our next meeting will be at 7:30 pm on Tuesday 21st March. 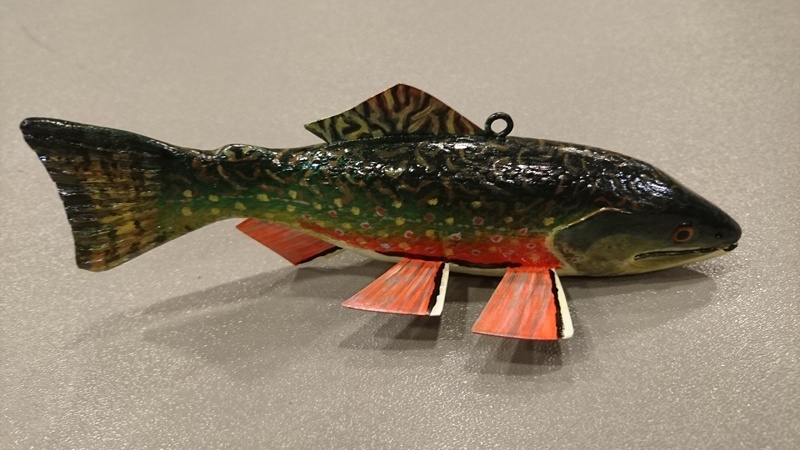 Steve Noakes will be enlightening us on the “Bring Back the Brookies” program. Our next meeting will be at 7:30 pm on Tuesday 7th March. William Gerrard will discuss “The Weakest Link”, looking at the history and performance characteristics of different types of monofilament fishing line. It’s designed to be of interest to experienced and beginning fly fishers alike. Many thanks also to Bill Spicer for his insights on fishing southern Ontario, at our last meeting. You can follow Bill on line through The New Fly Fisher videos on Youtube. 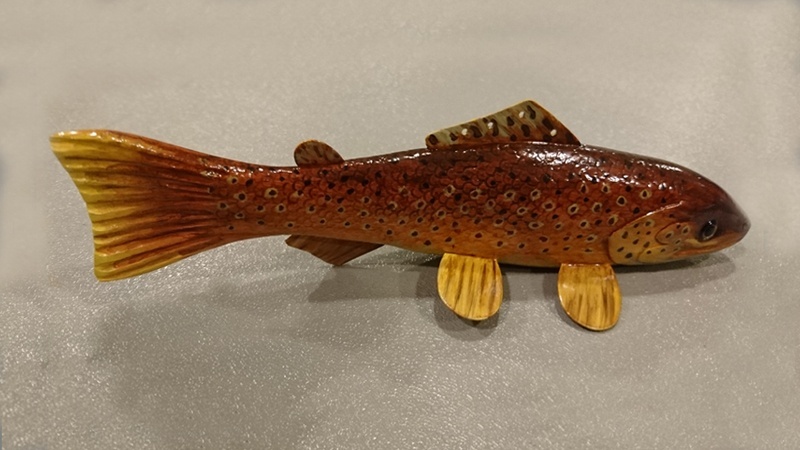 Thanks to all the club members, especially Pat Kelly for their participation at the Kid’s Fly Tying Booth last weekend. Bill Spicer of THE NEW FLY FISHER team, will be discussing fishing opportunities in Ontario. He will have some video footage from recent forays. At our next Club Meeting on the 7th February, Elliott Deighton will be demonstrating the fly patterns designed by Fran Betters. 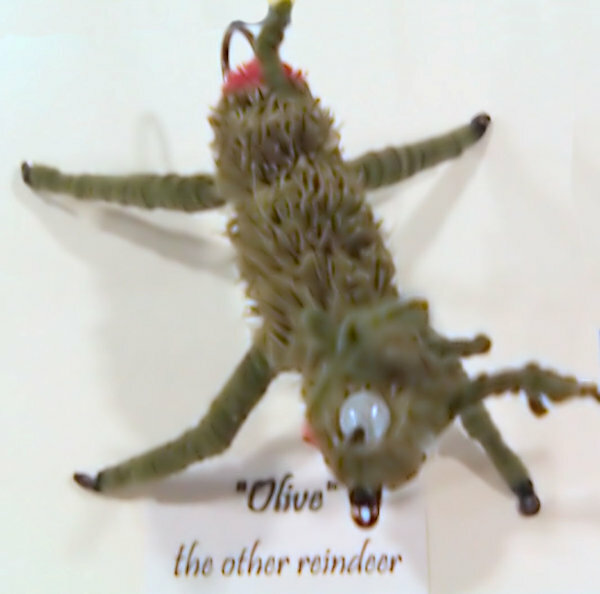 Thanks to the participants in the Christmas Fly Tying Competition, and the Club Draw. See you at our next meeting at the Carmen Corbasson Community Center on Tuesday 20th December. For some more fun info …click here. Update: Tuesday, 23rd November 2016. At our next Club Meeting on the 6th December, Dimitri Ristic will be talking about and demonstrating the Green Drake patterns. 5. 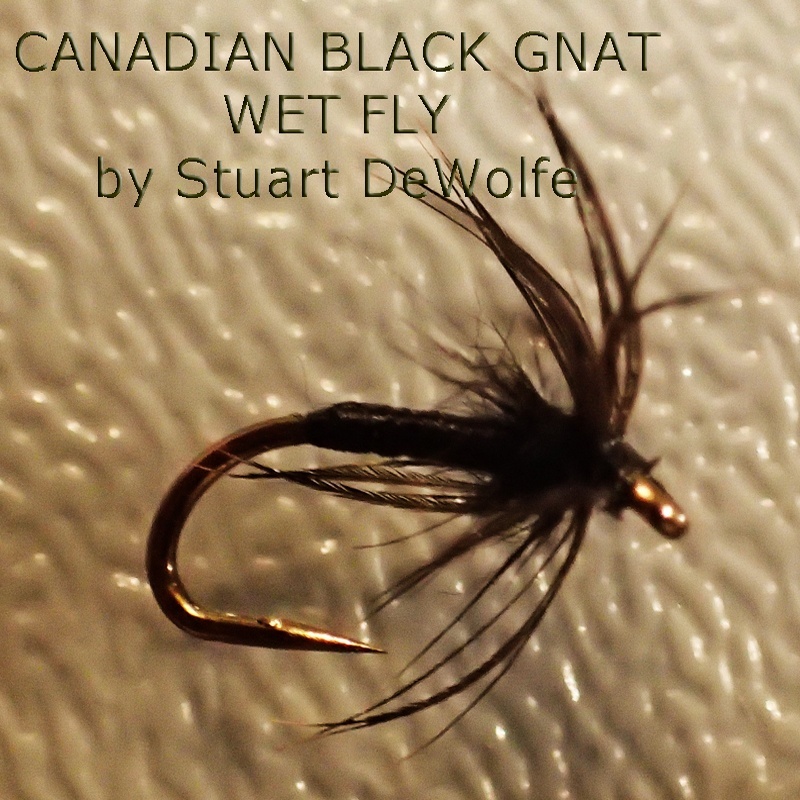 Wings: Dry fly hackle (black and cree) tied as a parachute style. Update Thursday, 17th November 2016. Update Wednesday, 9th November 2016. Will be on Tuesday 15th November at the Carmen Corbasson Community Center at 7:30 pm. Update Thursday 27th Oct 2016. The Franklin Club will be hosting a special event on Thursday November 24th at 7:00 pm. Update Wednesday 26th Oct, 2016. On Monday we will also be having the first in our Fly Fishing 101 series for the beginner. We will discuss Rods and Reels; so please ring along any anecdotes, advice, or hardware that will assist the newbies in our club. There is lots to report from Tuesday 18th October meeting. Jean Girard will take over from Carl as treasurer.Barry O’Rourke has stepped into the role of Program Chair. Two other members are also contemplating joining the management of the Club. We had a lively discussion on formats for future meetings. Consequently we will be initiating “Fly Fishing 101” sessions for the newly initiated members who need basic skills. We will take about 20 mins at the beginning of each meeting to share our common knowledge. Every first Tuesday of the month will be a fly tying tutorial in which a guest tier will instruct on tying three or four of their favorite flies. Every third Tuesday of the month will be in the form of a presentation by a guest speaker. There was also a lively Bring and Buy sale. 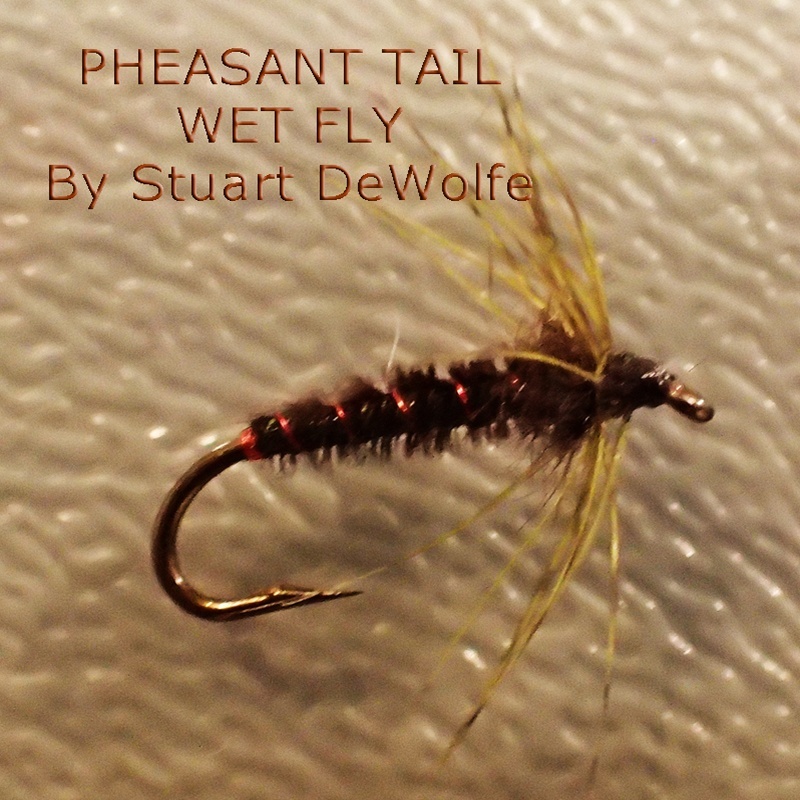 Our next meeting will be on Tuesday, 1st November when Sean Deighton will demonstrate his favorite fly patterns. Bring your vise and equipment along and come back here in the next week as we will post the materials list for his flies. Tuesday 4th October 2016 at the Carmen Corbasson Center at 7:30pm. This will be our return to the format of tying along with the guest speaker. 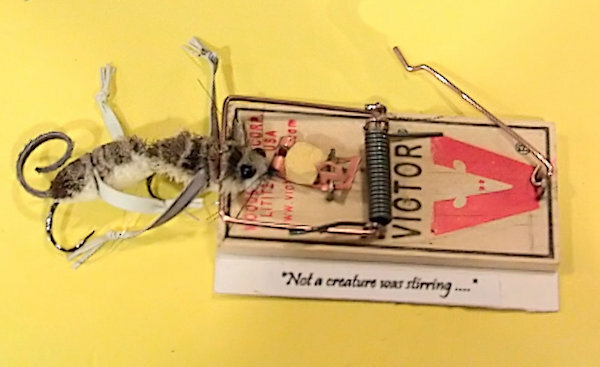 Stuart will be tying three flies that need to be in our fly boxes. You are invited to bring your vises and fly tying tools along with the materials listed below. Don’t be too finicky with the materials; bring the nearest approximation that you already have on your bench. The first meeting of the season will be at the Carmen Corbasson center, Mississauga, at 7:30 pm on Tuesday 20th Sept., 2016. So open your minds for this business meeting; we will be discussing meeting formats, reviewing the budget, setting priorities, and giving everyone a chance to show their talents and wisdoms. We will be looking to consolidate our old systems and also develop new directions. A HUGE thank you to Carl Johnston, our treasurer, who is moving to northern climes. It has been stated that that is the only way he can learn the differences between tricos, midges, black flies and mosquitoes! Please join us in wishing him all the best as he commutes up and down Hwy 400 this winter. Thanks to everyone who contributed time and effort towards the club barbecue and fly casting at Erindale Park on Tuesday 3rd May. We look forward to making this an annual event. Update Thursday 21st April, 2016. Next club meeting will be on the 3rd May, 2016, stream side at Erindale Park at 6:30 pm. There will be a barbecue and casting session; so bring your rod, reel, and waders. Thanks to Larry Mellors (and Becky) for the hints and tips on special flies for small streams at our last meeting. 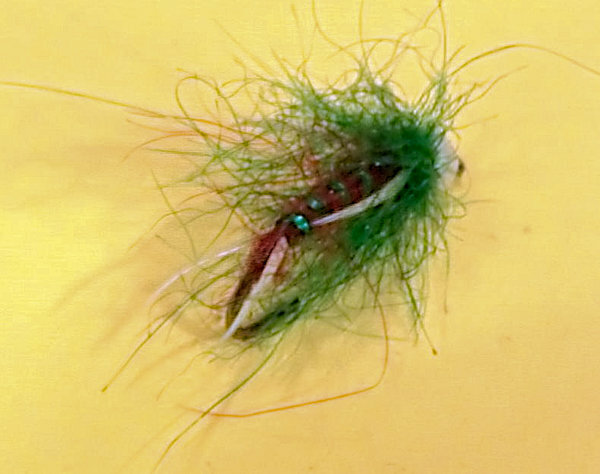 Larry demonstrated a soft hackle beaded fly with the hackle in front of the bead. This was followed by a CDC dry pattern that can be whittled at the stream side to simulate any locally timed hatch. As a third pattern he tied Steve May’s Full Motion Hex, and finally he tied a scud pattern. Our next club meeting will be on Tuesday the 19th April, 2016 at the Carmen Corbasson Community Center at 7:30 pm when Becky Knifton and Larry Mellors will be giving their second installment of “Fishing Small Streams”; this time they will be demonstrating their recommended flies. Thanks for all who presented, demonstrated and volunteered at The CFFF2016 yesterday. You can hear the full presentation here. And also thanks to David Sharpe for his generously donated art work which went to Dan Crothers. Our next meeting will be on Tuesday 15th March when we will be brought up to date on the “Bring Back the Brookies” program. This will also be a retrospective over the past two years of the proposed five year plan. So come along to the Carmen Corbasson Community Center, at 7:30 pm. Congratulations and thanks to all the club members who manned the IWFFC booth at the Boating and Fishing Show this weekend. There was a great turnout, and the kids had a wonderful time at our booth. It is expected that the club membership will expand in the coming weeks as a result of our presence at the Show. 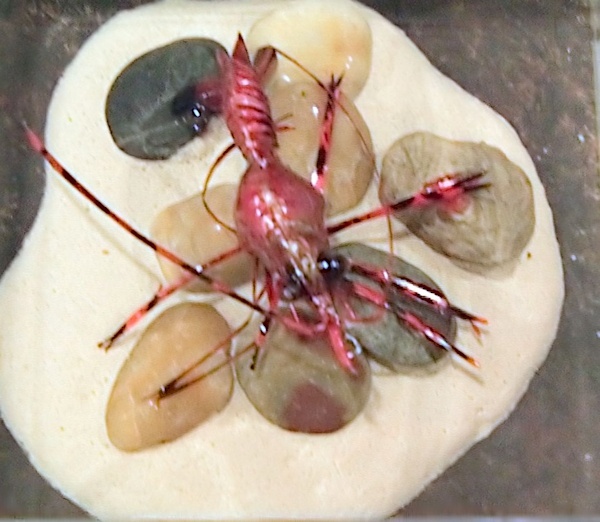 Here is the Club link to the pattern to make a shrimp fly from a bendy straw. Our next meeting will be on Tuesday, 16th February, 2016 at the Carmen Corbasson Community Center. Larry Mellors and Becky Knifton will be the guest speakers and will be talking about “Small Stream Strategies”. Thanks to Elliott and Joel for stepping up at the last minute, last evening. Bob Clarke became ill suddenly and was unable to give his presentation. However we had a tutoring session by Elliott and Joel on Tenkara fishing methods and fly tying. 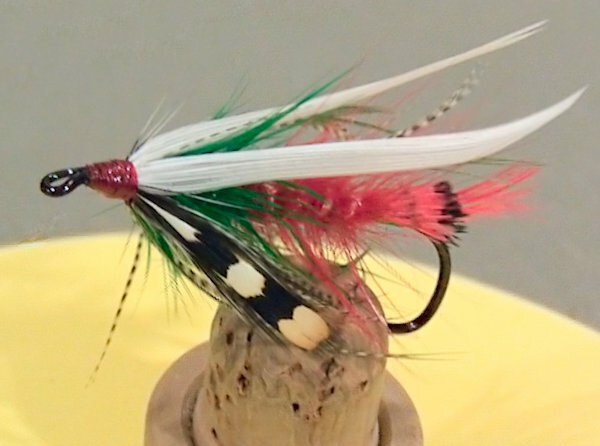 For those of us who intend to tie the Killer Kebari fly there are some detailed steps available at: http://www.tenkarabum.com/killer-kebari.html. You can obtain the sand colored, Jamieson, Shetland Spindrift, 2 ply yarn from Camilla Valley Farm. Our next meeting will be on Tuesday February 2nd, at 7:30pm in the Carmen Corbassen Community Center. We will be hosts to Rob and Tamma Clarke, who will be demonstrating some of their unique fly tying techniques. You may remember that Rob and Tamma met some of us at our day trip to York on the Grand last year, and they were also tyers at our 2015 Forum in Burlington. Our next meeting on Tuesday the 19th January at 7:30 at The Carmen Corbasson Community Centre, will be a swap and sell meet. Bring along some price tagged items that you would like to sell or barter. Books and flies sell really well. Our next meeting will be on Tuesday, 5th January,2016, at 7:30 at The Carmen Corbasson Community Centre. Sean Deighton will be the guest fly tyer, and will tie his Caddis Emerger pattern. Our next meeting will be on Tuesday, 15th DEC at 7:30 at The Carmen Corbasson Community Centre. Rick Crawford will give us some insights into his last 15 years of fly fishing. As this is the last meeting before the holidays, there will also be lots of Christmas goodies to enjoy. Come along and bring some friends.